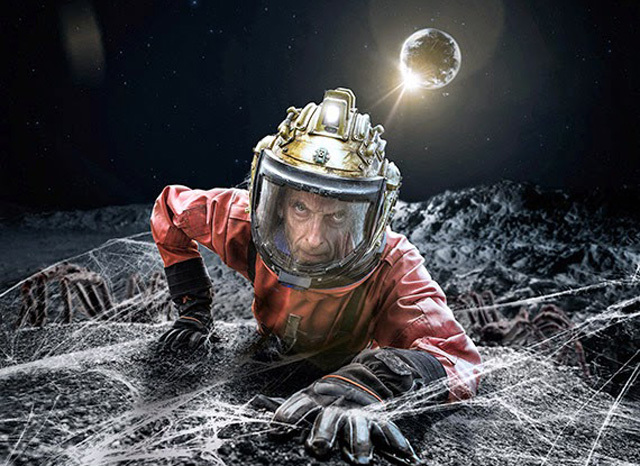 Doctor Who: Series 8 With Hindsight - KILL THE MOON | Warped Factor - Words in the Key of Geek. How do you like your eggs in the morning? asks Tony Fyler. All of those things, at the time of broadcast, impacted negatively on both general viewer reaction and on my own. With a year of hindsight, let’s just put them all on a shelf for a bit, and see whether Kill The Moon still makes the same impression. Where do we start this adventure? Arguably with a 2000 year-old Time Lord being swayed by 21st century Earth pop psychology, and the notion that everyone has to be special. It is something of a turnaround from the Matt Smith era when he declared that in all his travelling, he’d never met anyone who wasn’t important, to have a spiky Twelfth Doctor telling a teenager that she’s not special, but firstly, it’s a truth that was acknowledged by the Tenth Doctor in his last, most selfish moments, when he told Wilf Mott ‘Look at you, you’re not remotely important, whereas I could do so much more.’ And secondly, if Kill The Moon tells us anything about the Doctor’s personality, it’s that sometimes he does things that seem unkind for what he thinks are the best of reasons – to make people stand on their own feet and discover what they can do. 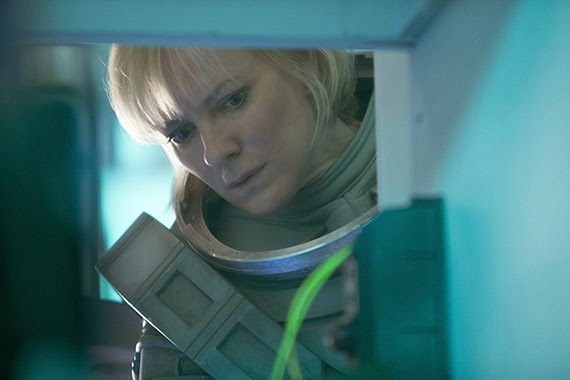 Knowing Courtney as a ‘disruptive influence,’ we can’t be sure he didn’t tell her she wasn’t special to make her bite down on the steel inside herself and say “I’ll show you, Mister Caretaker!” But anyway, in an attempt to be ‘nice,’ the Doctor offers to make her the first woman on the Moon. And off we go, with a straightforward premise. Girl, Moon, back in time for tea. Except of course there’s something altogether wrong with the Moon. If you didn’t get a thrill out of the Doctor’s control-taking scene with a yo-yo, you may not have watched enough Classic Who. It stands up very well to a year of distance. The astronauts are a rum bunch, and there’s a sense on rewatching that there’s only one real character there – Lundvik – and that Peter Harness in his first time on Who didn’t have the scope to give the others personalities, as they were marked to die in any case, meaning pleasures like Tony Osoba’s return to Who are pretty much lost, because the mouthpiece of the exhausted, fatalistic astronauts is Hermione Norris’s jaded Lundvik and no-one else. Poor Duke and Henry barely get a characterization look-in, which means that when they die, we don’t particularly care – they were never especially ‘there’ in the first place, and then they’re gone. Next! Now, a disclaimer – I haven’t been properly eight-year-old scared at any point in New Who, because I was 34 when it came back, and so now am clearly utterly irrelevant and nearly dead. I also have never had a problem with spiders – as a kid, before discovering the Doctor, I used to stick my hand into spider nests and wait to get bitten, so I could be turned into Spiderman. (Yes, really). 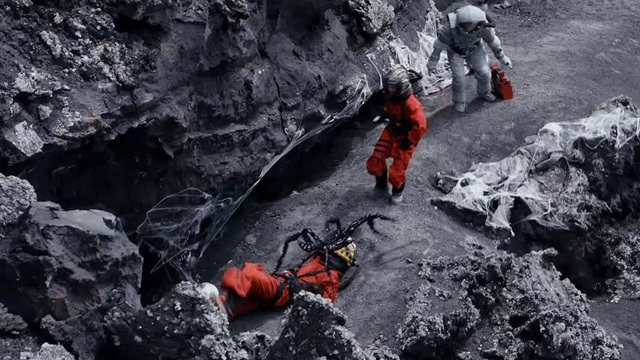 But the ‘spiders’ in Kill The Moon took me closer than anything else in ten years towards the shudder and that eight-year-old thrill of safe fear. The scene where one grabs Courtney is insanely creepy, the combination of effects, lighting, camerawork and sound design (in essence, the direction by Paul Wilmshurst) is exquisitely geared to deliver the ‘it’s behind you’ gut-lurch of terror, albeit one that’s slightly overpowered by the pseudo-scientific explanation of how and why Courtney manages to kill it. And the peek down into the hole with the sudden skittering appearance of pair after pair of red eyes is perhaps clichéd in sci-fi terms, but the reason it’s clichéd it because it damn well works – and indeed works damn well, to this day. With the two male astronauts conveniently eaten, there are four people left on the Moon as we discover what it actually is – an egg, about to hatch. Three women at different stages in their lives, and the Doctor, the historically benevolent patriarch who can get us out of a jam. This is pretty much the point at which Kill The Moon stops being about space and threat and danger and starts being a giant pregnancy metaphor. Pause for a brief ‘deep and meaningful’ moment – if you’re into Who as metaphor and allegory, you have to admire Harness’ ambition and scope here, even if you disagree with how or what he (ahem) delivers. Luna, the Moon, was historically thought to have been a goddess, in control of the tides and the menstrual cycles of women. To have the Moon itself be a gestating egg takes a fair bit of thinking about and possibly the doodling of complex plotting diagrams. To strand three women at different points in their lives (very vaguely corresponding to the three female members of a Wiccan coven, the Maiden, the Mother and the Crone – each of which again is an avatar of a moon-phase) and give them the power of life and death over the egg is going out pretty far on the limb of acceptable uses of sci-fi when written by a man. If you’re going to do that, you’ve got to be absolutely sure you get it right, while knowing that ‘right’ changes for every observer. Having the Doctor abandon the women forces them and us to confront a reality, and while there was originally some displeasure from fans at the way the story resolved with a seemingly pro-life moral, if you actually look at it, what’s clear here is the message that the life and death of an egg or a foetus is down to a woman’s right to choose. The Doctor can’t choose for them, and while they ask for a decision from the rest of the world, and get one, in the long dark night of the Moon, it’s their choice to make. And again, to give Harness credit, he makes it clear in the dialogue between Clara, Courtney and especially Lundvik that there’s no one ‘right’ answer, and that the ‘right’ choice’ is subjective depending on the individual woman, her experiences, and her circumstances. 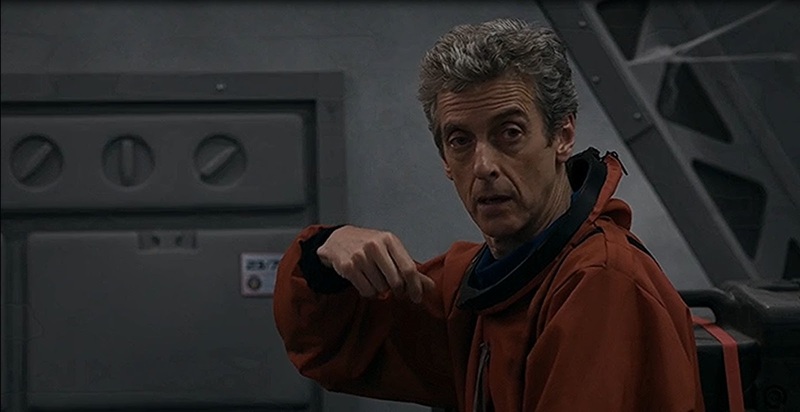 Eventually, Clara “chooses life,” and the Doctor re-appears to whisk them all to safety while the Moon explodes. Yes, the ending is dodgy – a new Moon being suddenly “born” from the baby “chicken” as it flies away (though technically you could argue it’s no more ridiculous than the knowledge that a newborn baby girl has all the eggs she’ll ever release already inside her). But the ending beyond the ending (Kill The Moon, like The Lord of the Rings trilogy, has more endings than it has Much Else At All), where the Doctor is feeling like he’s done the right thing and Clara tears him a new one for his abandonment gives a salutary note – if we’re going down the whole “pro-choice, pro-life metaphor” route, this is a warning to men. If a woman in your life has the hard decision to make between difficult life and difficult death, don’t run the hell away and leave her to it. That’s not what she needs. Understand it’s not your choice to make, but be there, support her however you can, because if she’s in your life, even as a friend, then it’s your Moon too, because it’s hers and she matters. The ending is the Doctor in the wrong, while thinking he’s strongly in the right, and as Clara and Courtney and Lundvik have been abandoned to carry the weight of the Moon throughout the crucial final third of the story, our sympathies are with them, rather than with benevolent alien boy and his sudden ‘glad that’s all over’ smiles. A year on, Kill The Moon watches better than it did on broadcast. Yes, yes, there’s bit of padding as our heroes traipse over the lunar surface, and yes, the ‘new Moon’ robs the decision of a degree of consequence, like a false alarm with all the sturm und drang of the real thing and no explosion, but with hindsight, it’s time to let Harness’ story out of the sin bin and appreciate it for the creepy-monstered allegory it is. What it isn’t is a morality tale. What a year of distance can help you see is its power to illuminate a dilemma women find themselves in every day, often without support from those who claim to care about them. As the nonsense debate rages in the States about defunding Planned Parenthood, Kill The Moon is more relevant today than it was on broadcast, showing the pain and the power and the absolute, singular right women have to decide the future for themselves. Give it another watch before approaching Harness’ next, Zygon-flavoured scripts.